Any abnormal smells or gurgling sounds are often the early signs of a drain blockage. Obviously if the toilet is slow to drain or the water level in the bowl changes, something is amiss and it's time to call us. These problems often show up as the washing machine or dishwasher finishes a cycle. How do I know if I have a burst or leaking pipe? Common indications of a burst or leaking pipe could include suddenly receiving an abnormally high water bill, hearing water running below the house or even finding a soggy wet patch in your yard or garden. A water leak of any kind in the home can understandably bring on a mild panic attack. This is because water leaks are an immediate sign that something is faulty and further damage is almost certainly on the way. It is often difficult to determine what the source of the problem is and for many of us, the will require expertise to inspect accurately. Water leaks from the ceiling in particular are very concerning because the extent and duration of leakage before chaos follows are unknown. Time is of the essence and your immediate reaction can save you money and help protect priceless belongings and restore order to your home. Be alert to where the leak leads to. Any water close to electrical points or electronic goods is an obvious risk. Turn off the electricity mains to be safe. If your ceiling leak has reached the point of rapid dripping to the ground, position a bucket under the leak. If your ceiling is already bulging/bowed, it is a sign that there may already be a huge amount of water in it. Be sure to approach this with caution to avoid a ceiling collapse while inspecting. Move any belongings at risk of becoming wet and damaged to a safe, dry area. Contact your insurance company as soon as possible to report a claim Have a look at the water from the ceiling to get some indication of what the cause could be. If the water seems to be fresh, it is very likely that you have a plumbing problem on your hands. If the water is dirty or stains the ceiling in a short period of time, the source is likely to be a leak in the roof. Regardless of the cause, you need to take action fast and need professional, swift assistance to deal with the problem ASAP. By using a few basic tools and following a few simple steps, you can enjoy an entirely new showering experience and possibly save water in the process. The following is an easy-to-follow guide on how to replace a shower head. There may be a number of reasons why you want to replace your shower head. It could be because your current shower head is dated and you would like a newer one. It may be that you've become more water conscious and choose to replace it with a low flow shower head. Regardless of the reason behind the replacement, replacing a shower head is a fairly simple job and most people are able to do this and improve the appearance of their shower and bathroom. Before you proceed with replacing your shower head, turn off water at the main stopcock, then turn on the tap in the shower to drain the pipes. This is done to test your new shower head, ensuring there are no leaks Should you find a leak, remove the shower head, re-tape the threads of the shower arm and re-install the new shower head. Contact a professional plumber if you detect leaks afterward The simple steps above clearly explain how to change a shower head. Maintenance and repair within the household is unavoidable. Over time, most of our household appliances, fixtures and items in general require attention and replacement. 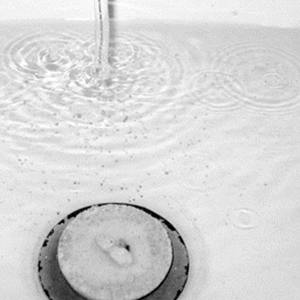 One of the most common maintenance issues that will arise is the loathed leaking tap. In most cases, the average person may not have the solution on how to fix a leaking tap. Quite frankly, the issue may be more basic as we ask ourselves, Why is my tap leaking? Whether you find yourself faced with this problem as a novice or a professional plumber, one thing is for certain, a leaking tap cannot be ignored. The sooner the problem is tackled, the easier it is to fix. The following easy to follow steps should give some guidance. Turn off your water supply and then open the tap to drain the remaining water. Unscrew the top plate that indicates whether it's the hot or cold tap, with your fingers if possible. If not possible, use pliers or an adjustable spanner. Once the top plate is unscrewed, undo the retaining screw and remove the handle. The headgear nut can now be seen. Unscrew the tap body cover. If you find it a bit tough to unscrew by hand, use an adjustable spanner. Loosen the headgear nut with an adjustable spanner. If the nut is difficult to turn, wrap the base of the tap with cardboard instead and use a pipe spanner to grip it firmly as you apply force to the nut. Remove the headgear assembly by unscrewing the headgear nut. The washer is found in the jumper and is usually pressed in place over a small button OR held by a nut. If necessary, unscrew the nut that holds the washer in place with an adjustable spanner. Remove the old washer. Insert a new washer and push it into the jumper. Reassemble the tap in the reversed sequence. Apply a little grease to the threads on the base of the headgear assembly before placing it back in the tap body. Plumbing waits for nobody. When your pipes need fixing, they don't follow office hours. The best plumbers will usually offer you a great variety of service and they will offer their services at any time of the day. 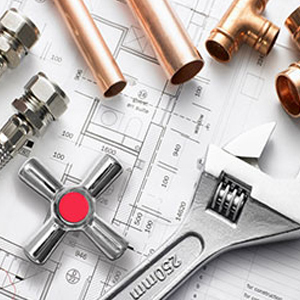 These plumbers should offer you the basic, as well as specialised services in order to be deemed the best. These services, at the very least, should include leak detections and pipe location. This means they are able to identify potential leaks and problems in your piping before accidents occur. Plumbers who include basic checks like this in their standard service offering, will save you both time and money in the long run. They will deal with the basic leaking taps, as well as issues with the toilets, the showers and the geysers. These three elements often pose the most frequent problems, so you need to make sure they are in top shape at all times. A good plumber will always look for leaking and burst pipes when coming to your home on a call, because leaking pipes often lead to eventual burst pipes and this can be avoided. The best plumbers will be able to notice issues such a block drains and sewers and will be able to deal with them successfully before they become worse and create bigger problems for your household. Blocked drains can also be dangerous and lead to water damage later on. Allow your plumber to look at the geyser and boiler when they are at your house in order to avoid future problems and know that a plumber can also deal with solar repairs and solar replacements or installations. The best plumbers will also offer you emergency services. When a pipe bursts in the middle of the night, you cannot let the water spurt out until morning when office hours arrive again. When the geyser decides to die on you when you desperately need to clean up for a special occasion, you will need a plumber as soon as possible to help you out. A plumbing service that offers emergency services are reliable plumbers, because they are not afraid to work hard to satisfy their clients and are willing to make extra effort in order to help you out when you need it most. How can I fix a blocked bath drain ? When trying to clear a blocked bathtub drain, place a heavy cloth in the bottom of the bathtub so your shoe soles won't scratch the bath's enamelled surface. Hold your hand or rag over the waste and overflow plate, cup the plunger over the drain and plunge it vigorously several times. If it doesn't open easily, the drain may require cabling to open it. Heavy steel spring coils should not be used. 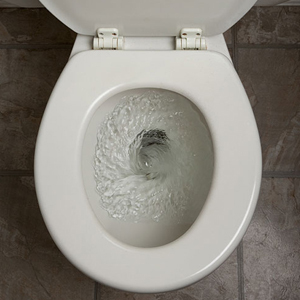 How can I flush the toilet when the water is off? When the water supply gets cut off, indoor plumbing doesn't do its job, creating an unpleasant problem. If you have no water flowing into the tank via your plumbing, you can replicate its action in a very simple way. All you have to do is manually dump a bucket of water into the bowl, and you've got your flush. One reassuring part of using the bucket method is that it doesn't matter what water you use, since it's all going down the toilet anyway. What should I do if my geyser bursts? If you notice your geyser has burst, switch off the geyser isolator switch on the main electrical distribution board, open a hot water tap to relieve the pressure from the geyser, turn off the water supply at the water mains. Then call Plumbers on Call to assist. A lack of hot water, or a geyser tripping the electricity is often the result of the geyser thermostat or element malfunctioning. Plumbers on Call will inspect the problem and replace necessary components.